The world of self-defense is constantly evolving and changing as technology advances. While in the past the most effective tools one could carry around with them were essentially just smaller versions of the real weapon, or in some cases, just real weapons such as handguns, in the year 2019 there are better, more convenient, and less lethal options. In this article, I will discuss the best, most effective, and convenient self-defense weapons for the average person to carry around with them. Each person’s situation is unique to them, so I will be doing my best to describe the weapons that best fit the majority of lifestyles and circumstances. Here are my top picks for the best self-defense gadgets of the future! A little known but highly effective tool is the tactical pen, otherwise known by the popular brand that produces most of them ‘StrikePen’. This is a prime example of everyday objects that can double as effective self-defense tools. The StrikePen is an ordinary fully functioning pen that doubles as a handheld self-defense tool in the event of an attack. The back end of the pen is a slightly sharpened point that is not razor sharp, but when used against an attacker, could prove to be very useful. The StrikePen is perfect for the average worker who uses any kind of writing utensil in their daily routine. Easily carried around and easily accessible in crisis situations, the StrikePen is a tool that anyone can use. In addition to self-defense uses however, the pens can also be outfitted with a variety of other useful tools for survival and everyday use. The StrikePen is an excellent choice for anyone looking for a versatile and useful self defense tool for every day carrying and usage. Sometimes you just need to go back to the classics to find what you need. The best self-defense weapons are stun guns, a portable tool which can fit in any backpack and some larger pockets. This basic tool uses electricity to deliver non-lethal shocks to an attacker who may be on the receiving end of it. Phone cases, cell phones, brass knuckles, and other self defense tools can all be found with stun gun attachments to guarantee a nonlethal end to any encounter that you may come across. 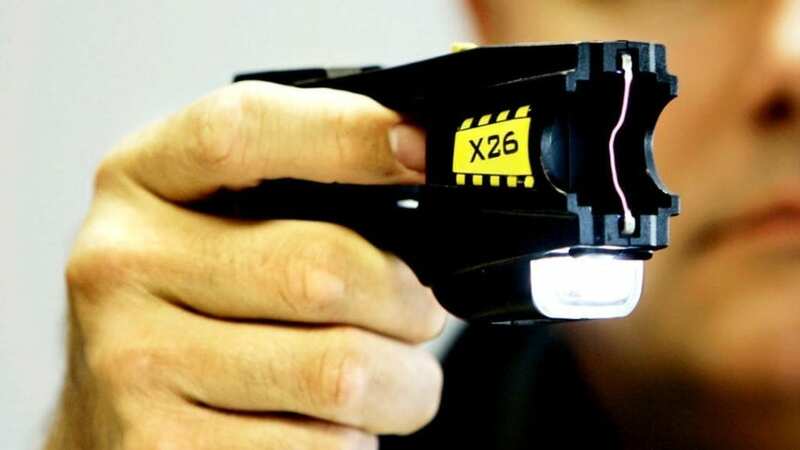 The stun gun remains the king of the non lethal tools, requiring the least effort to use and bringing the most consistent and best results in the vast majority of situations. 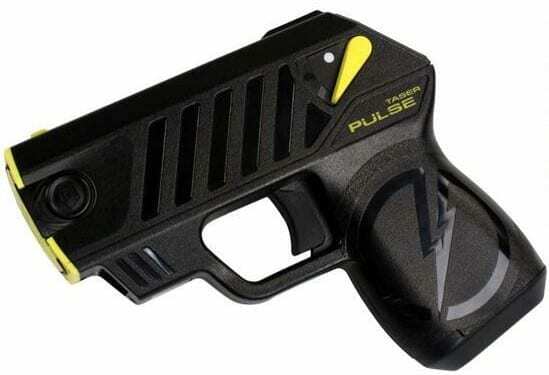 The only catch of stun guns is that anyone with a pacemaker could suffer lethal heart attacks if hit by the shock, so be sure to be on the lookout if you may be around people who have pacemakers. A credit card blade is a short, but sharp knife that is able to fold into itself. When folded, these blades are the approximate size and shape of a credit card, making them perfect for everyday carrying. These blades are the perfect size to keep on you at all times in your wallet without alerting anyone around you of its presence. If you are attacked, it’s as easy as taking out your wallet and unfolding the blade within. There are also a wide variety of uses for these tools, as many brands manufacture them with more than one function, such as survival tools built into the frame of the knife etc. 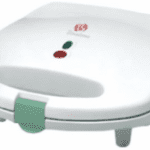 You can not go wrong with the convenience and portability of this versatile tool. Another classic self defense tool is pepper spray, a simple spray can full of stinging spray which can be used to disorient or blind your enemy. Easily carried, easily concealed, and completely non lethal no matter how it’s used. Pepper spray can be used to escape dangerous situations and give you time to run or be used in tandem with other self defense tools to give you the upper hand in a scuffle. Similar to the Strike Pen, the StrikeLight is a flashlight that also doubles as a self defense tool. A long light bulb attached to a heavy metal handle and coated with a solid metal frame serves as both a flashlight and a blunt weapon depending on which you need. Bright halogen lights can illuminate any attackers who may be trying to ambush you in the dark, and when engaging in combat the Strike Light has a strobe setting which can be very effective at disorienting anyone who may be on the receiving end of its fury. This multifunction tool can be useful in so many situations, even ones outside of the field of self defense. In today’s modern world, protecting yourself can be hard. By equipping yourself with the right tools however, you can make sure that you and your family stay safe no matter what happens. Next articleWhat is Official website of Bitcoin Loophole?